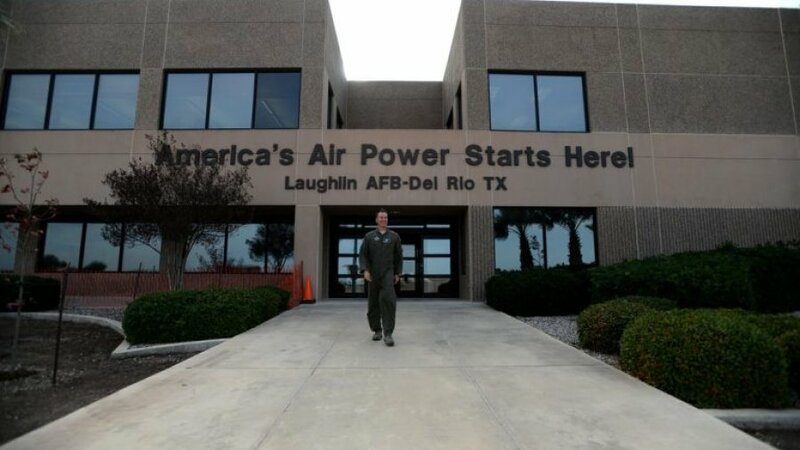 The Air Force removed three top commanders at Laughlin Air Force Base on Wednesday citing concerns about dangerous and threatening behavior at the major pilot training installation in Texas, the service’s Air Education and Training Command announced. The chief of AETC, Lt. Gen. Steven Kwast, fired Col. Charles Velino, the commander of the 47th Flying Training Wing, and the commanders of its operations group and flying training squadron citing “chronic leadership failures” raised in an investigation into widespread officer misconduct within the unit, according to an Air Force statement released Wednesday. The statement did not name the commanders of the operations group or the flying training squadron. However, Col. Robert Pekarek had been in command of the operations group since June 2017, according to Air Force records. An Air Force spokeswoman declined to name the flying training squadron commander who was relieved of duty. p class=”krttext”>Velino had served as the 47th Wing’s commander since June 2017 after serving two years as the commander of the 15th Wing’s Operations Group in Hawaii, according to his official biography. He has served in the Air Force since 1995 and has logged 3,700 flight hours piloting a variety of aircraft including C-17 Globemaster III cargo jets. Maj. Gen. Patrick Doherty, the commander of the 19th Air Force, which oversees the 47th Wing, ordered an inquiry into the command team after misconduct allegations were raised. The investigation substantiated those claims revealing instances of heavy alcohol consumption and improper treatment of some student pilots, according to the Air Force. The investigation did not reveal toxic command climates at other units within the 19th Air Force, Kwast said. The 47th Flying Training Wing includes more than 1,400 servicemembers and is responsible for training Air Force, Air National Guard, Air Force Reserve and allied nations’ pilots, according to the Air Force. The wing flies some 80,000 hours each year using T-6 Texan II, T-38 Talon and T-1A Jayhawk training aircraft. Air Force Col. Lee Gentile was named the wing’s new commander. He was most recently the vice commander of the 71st Flight Training Wing at Vance Air Force Base in Oklahoma, according to the Air Force statement.